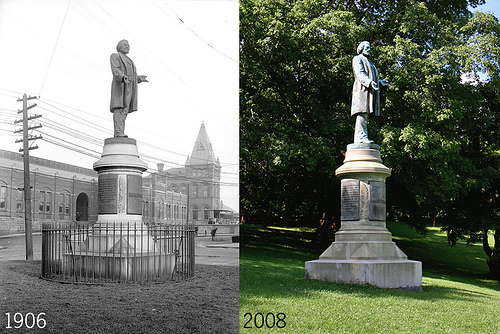 The Frederick Douglass statue in Rochester, NY was originally displayed in a high-traffic area in front of a railroad station. The statue was later transported to Highland Park. Druse, Kristen , “Frederick Douglass Rochester statue,” OpenValley, accessed April 25, 2019, https://openvalley.org/items/show/342.